“7 Chinese Brothers” has its Madison premiere Thursday at 7 p.m. at the Union South Marquee Theatre, 1208 W. Dayton St., as part of the UW-Cinematheque fall series. Not rated, 1:16, three stars out of four. Austin writer-director Bob Byington specializes in ultra-low-budget indie comedies that wear their threadbare casualness as a sort of calling card. 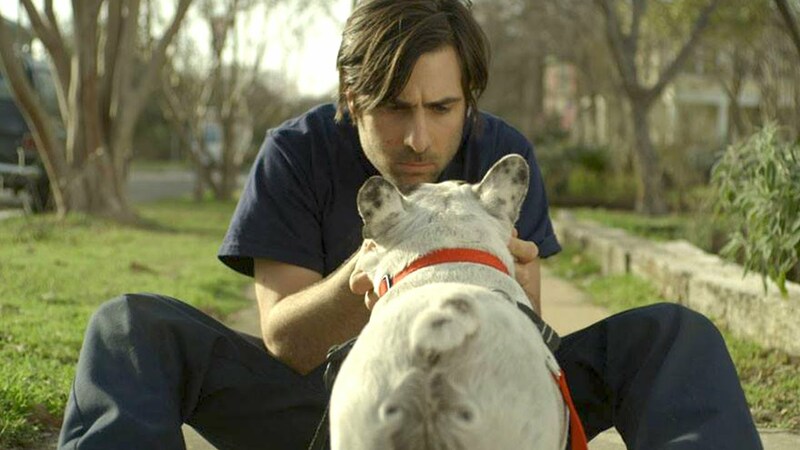 With “7 Chinese Brothers,” Byington finds a narrow groove and sticks to it, making a wry, plot-allergic character study that benefits greatly from the considerable charm of star Jason Schwartzman. The movie opens with Schwartzman riffing on French people who abruptly transition into English. He’s talking to his bulldog, Arrow, played by Schwartzman’s real bulldog, Arrow. These two have chemistry. Jason plays Larry, a lovable loser who gets justifiably fired from his restaurant job for embezzling tequila from the taps. He then wanders over to the local “Quick Lube,” where he gets a job cleaning out cars. It’s not lost on Larry that he basically wears the same uniform at both jobs, albeit with different patches sewn over the breast pocket. Larry’s social life mainly revolves about visiting his flinty grandmother (Olympia Dukakis) at the nursing home, and hanging out with her orderly Major (Tunde Adebimpe of the band TV on the Radio) at night. And that’s about all the unambitious, acerbic Larry has going on his life, aside from an unrequired crush on his boss Lupe (Eleanore Pienta). His grandmother tells him that “90 percent of the equation is just showing up.” But showing up is pretty much all he can manage. Schwartzman is so deadpan funny, and just a little bit sympathetic, that it’s a perfectly agreeable time to watch Larry shamble through his life (accompanied by an unaccountably chipper organ soundtrack), carrying his spiked 44-ounce Big Gulp, getting hassled by everyone around him. From “Rushmore” to “Listen Up Philip,” Schwartzman has made a career out of playing comic characters who think they are smarter than everyone around him (even if that confidence is misplaced), and so he’s perfectly cast here. His scenes with Dukakis are especially sharp, and the smidgen of personal growth that Larry achieves over the course of the film feels like a hard-won victory. The cast is peppered by small, funny cameos, including Stephen Root as a touchy-feely lawyer and Schwartzman’s “Listen Up Philip” director, Alex Ross Perry, as a motorist who Larry gets into an altercation with and then wins over, having a serious discussion about panda bears with. “7 Chinese Brothers,” modest and unassuming, wins us over too, even though I can’t figure out what the R.E.M. song has to do with the movie. Plus, it looks like Byington could only afford 2 Chinese brothers at most.